The Dead Weather released their latest LP, Dodge and Burn, back in 2015, but the Jack White and Alison Mosshart-helmed outfit are now gearing up for a new release of a different variety. The band have announced a live album and concert film titled The Dead Weather: Live at the Mayan. As the name implies, the gig was recorded at Los Angeles venue the Mayan from a show back on August 26, 2009. The sound was mixed live by Vance Powell, while Vern Moen directed the concert film footage. 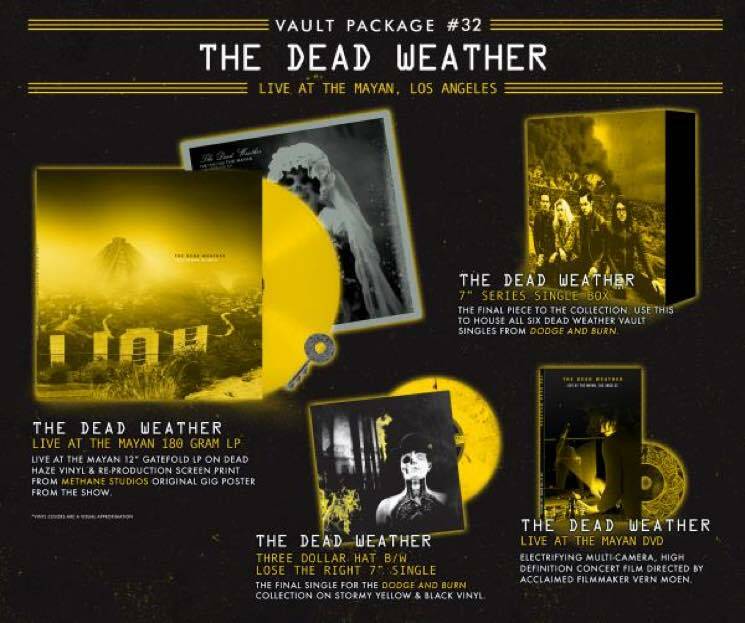 It marks the first full-length live offering from the Dead Weather, though they did previously release a Live at Third Man Records West EP in 2009 and contributed some live rarities to a recent Third Man vault box. Live at the Mayan itself will arrive as part of Third Man Records' latest vault offering, Vault Package #32. In addition to the live album on 180-gram vinyl and a DVD copy of the concert film, the box set also boasts the final Dodge and Burn 7-inch single (and a case to house the complete set of six individually released singles from the album) and a reproduction screen print of Methane Studios' original 2009 concert poster. To get your hands on a copy of Vault Package #32, you'll have to subscribe to the Third Man service before April 30. You can do so right over here. Below, check out the setlist from the 2009 show (that now serves as the Live at the Mayan tracklist), and listen to a clip of "Hang You From the Heavens" from that same gig.